This summer&apos;s Transatlantic Race, hosted by the Royal Yacht Squadron, New York Yacht Club, the Royal Ocean Racing Club and Storm Trysail Club, attracted 14 entries and seven provisional ones as of press time, with a Feb. 28 deadline looming. 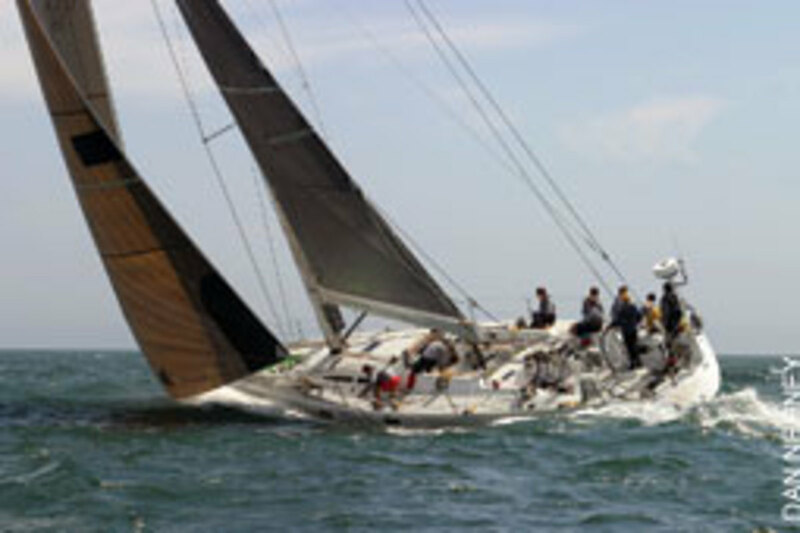 The 2011 race, a distance of 2,975 nautical miles, runs from Newport, R.I., to the Lizard west of Plymouth, England and will feature three staggered starts from June 26-July 3, 2011. 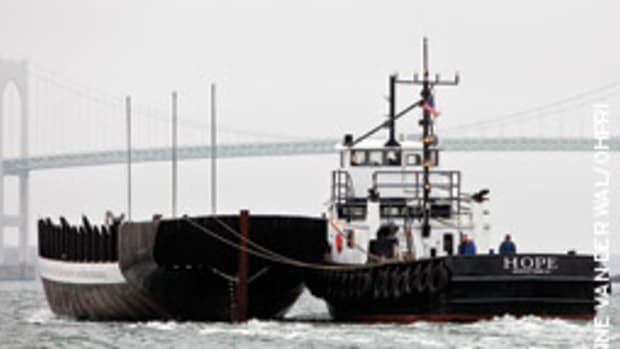 The New York Yacht Club at Harbour Court in Newport, R.I., and the Royal Yacht Squadron in Cowes, England, will welcome participating yachts at scheduled events on departure and arrival. The competition is for racing, racing/cruising and classic yachts with a minimum LOA of 40 feet and will be limited to 50 yachts. 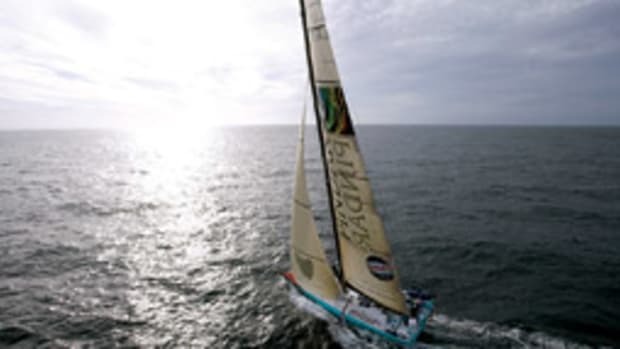 It will establish a record time for a race from Newport to the Lizard, as administered by the World Sailing Speed Record Council, part of the International Sailing Federation. Among the notable entries is Rambler 100, sailed by George David of Hartford, Conn. 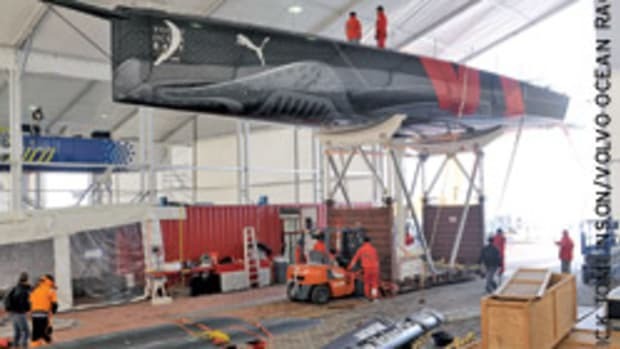 He will be using a renamed speedboat, the canting keel IRC 100 commissioned by Alex Jackson and designed by Juan Kouyoumdjian. The largest current entry is Sojana, Peter R. Harrison&apos;s Farr 115-foot ketch. Harrison headed the 2003 America&apos;s Cup challenge for England. 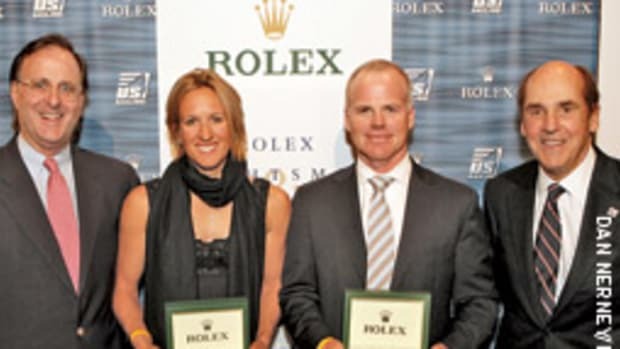 His Sojana was second across the line in 11 days, 14 hours, 54 minutes and 59 seconds in the 2007 Transatlantic Maxi Yacht Rolex Cup. To enhance the challenge and interest of the race, the Atlantic Ocean Racing Series was created. 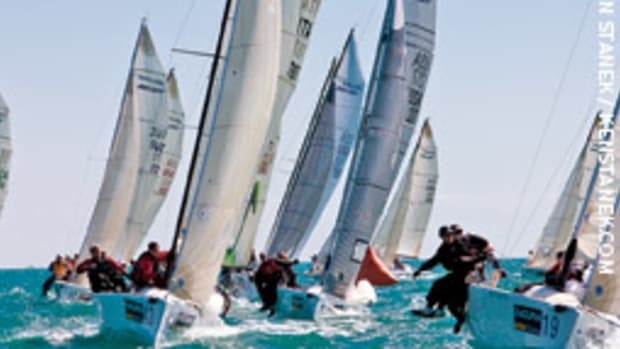 The series combines the Transatlantic Race 2011 with three races on this side of the Atlantic and three in England and the Mediterranean. 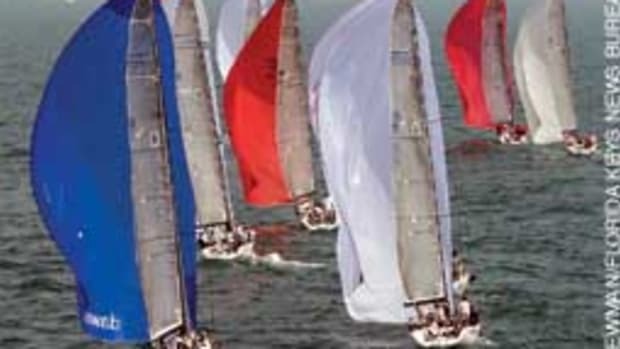 The six companion races and their starting dates are the Feb. 5 Pineapple Cup, RORC Caribbean 600 on Feb. 21, Annapolis to Newport on June 3, Rolex Fastnet on Aug. 14, Biscay on Sept. 5-6, and Rolex Middle Sea on Oct. 22. Race documents and resources can be found at www.transatlanticrace.com. American, Canadian, and British skippers and their teams each won a Paralympic division at the U.S. Disabled Sailing Championships in St. Petersburg, Fla. 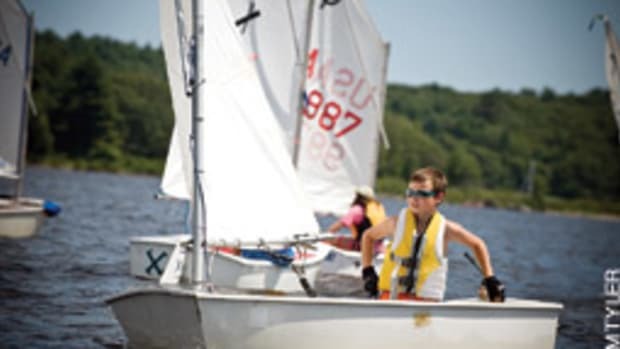 The championship featured racers competing in one of three Paralympic classes: 2.4mR (single-handed), SKUD-18 (double-handed), and Sonar (triple-handed). Canadian Bruce Millar won the 2.4-meter R fleet, U.S. Sailing team AlphaGraphics sailors Scott Whitman of Brick, N.J., and Julia Dorsett of Westchester, Pa., were winners in the SKUD-18s, and British skipper John Robertson and his crewmates Hannah Stodel and Steve Thomas captured the Sonar division. 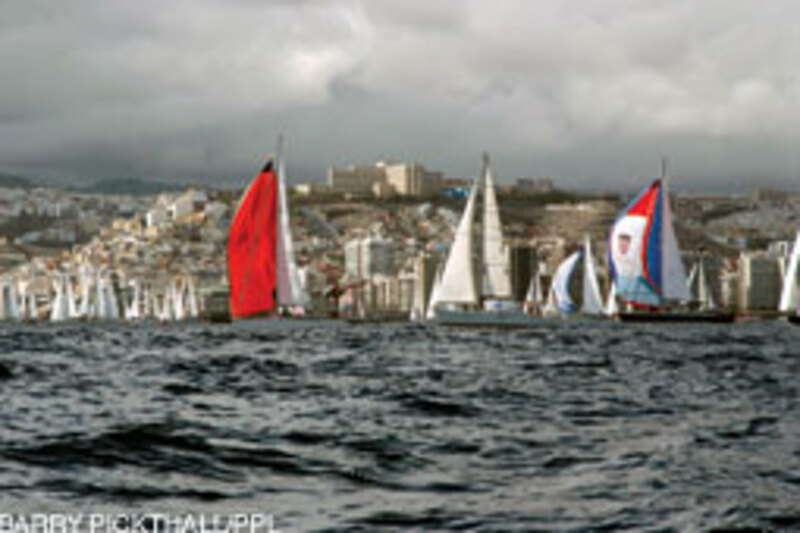 Each fleet completed seven races through three days of competition. Millar won four of seven races and finished eight points ahead of Great Britain&apos;s Megan Pascoe, while Canadian Paul Tingley finished third and the top U.S. sailor was Mark LeBlanc of New Orleans, who was fourth. Whitman and Dorsett cruised to the win, leading from start to finish by winning the first six races of the regatta. The 2009 SKUD-18 champion Jen French and crew Jean-Paul Creignou, both of St. Petersburg, Fla., finished in second and six points behind the winners.